WA has a vibrant live jazz scene and some great organisations and clubs bringing people together who share a love of jazz. The WA Jazz Directory lists artists, bands & ensembles, composers, arrangers, venues and organisations from all around Western Australia. If you are a jazz musician and your name or your band is missing from this directory, please submit your details using the ‘submit your listing’ button. Submissions are moderated, so it may take a day or so to see your listing go live. Basic listing (name and contact/web link) is free. To add your image, bio and be added as a featured listing requires paying a small membership fee. (Visit the Membership page for more details). As a performer, Nick has appeared with the likes of international luminaries George Garzone, John Scofield, Paul Bollenback, Alex Norris, Jim Pugh, Howard Levy, and Troy Roberts, as well as local legends Paul Grabowsky, Jamie Oehlers, James Morrison, and Graham Lyall. Aside from his main ensemble TRISK, Nick is also currently an active member of Abbey|Foster|Falle, Det Nopsus, Libby Hammer Quintet, Hammer 9, Johannes Luebbers Dectet, Paul Grabowsky's Perth Sextet, and The Fix, amongst others. 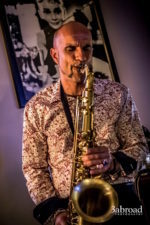 Nick's compositions have repeatedly drawn accolades, including the recently announced award of the WA Music Industry's Jazz Song of the Year 2014 for a new TRISK tune entitled Charon. This is Nick's third consecutive receipt of this accolade, with tracks from Abbey|Foster|Falle's Brotherhood album previously taking it out in 2012 (Maelstrom) and 2013 (Avina). Entertainer, Saxophonist and Jazz singer, Composer of "Sax Life" the jazz musical theatre show. The ultimate entertainer, Serge shares his passion for Jazz with his audiences wherever his shows take him. Jazz historian, comedian, singer, and multi-instrumentalist, Serge performs on all saxophones. He has been gracing the planks of various stages throughout Australia as well as France, Germany, Belgium, Japan and Switzerland, to name but a few. His latest creation "Sax Life" is a Jazz musical theatre that has been touring WA for over a year now and is set to go over East in the next few months. Serge will also be touring Europe in 2019. 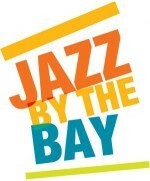 Known as The "KIng of Swing"
Jazz By The Bay - annual festival celebrating the sounds of jazz in the beautiful settings of the South West of Western Australia.